Home » News » News » Police, Fire & Crime Commissioner for Essex is looking for community heroes! Police, Fire & Crime Commissioner for Essex is looking for community heroes! Roger Hirst, the Police, Fire and Crime Commissioner for Essex wants to hear about your community heroes – people from across Essex who make an ‘Outstanding Contribution to Community Safety’. Do you know somebody in your community who goes the extra mile to support vulnerable people, prevent crime and make their communities safer? If so then why not nominate them for the award. The process is simple to complete, and winners will be recognised at the PFCC Annual Conference on Thursday, March 15th March 2018 which is being held at Boreham House in Chelmsford. The winner will receive £500 to go towards their work in the community and two runners’ up or highly commended winners will also receive £300. There will also be a chance for the people of Essex to vote for the winner of a People’s Choice category from a shortlist of entrants selected by a judging panel. The People’s Choice winner will receive £100. The deadline for nominations is 12 noon on Monday, February 26th. Nominations are open to individuals and teams from across the statuary, community, voluntary and business sectors, where an outstanding contribution has been made to improve community safety, prevent crime or protect vulnerable people. Nominations can be submitted by anyone who has benefitted from or witnessed the efforts of the nominees and their work, including managers, colleagues, or members of the public. Nominations must be made on the form and sent via email to pfcc@essex.pnn.police.uk with “PFCC Award” in the subject line. If you are someone who needs help with writing your nomination you could ask a teacher, or other professional person, or someone you trust to help you write the form. For further assistance you can contact the Office of the Police, Fire and Crime Commissioner directly on 01245 291 600. The winners of this year’s award will be announced at the PFCC’s annual conference at Boreham House in Chelmsford on Thursday, March 15th, 2018. Winners will receive a financial donation to their project, organisation or work, to further support the continuation of the important contribution they are making. The winning area of work or project will receive £500, with those highly commended receiving £300 each. This money must be reinvested back into the work which is being recognised. If this is not possible winners will be asked to name a charity of their choice related to the winning area of work where the money will be invested on their behalf. The People’s Choice winner will receive £100. 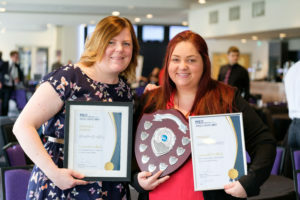 The nominations will be judged by a panel chaired by the Deputy Police, Fire and Crime Commissioner Jane Gardner and made up of representatives from PFCC’s Office, Essex Police, Essex County Fire and Rescue Service, the voluntary sector and youth groups.